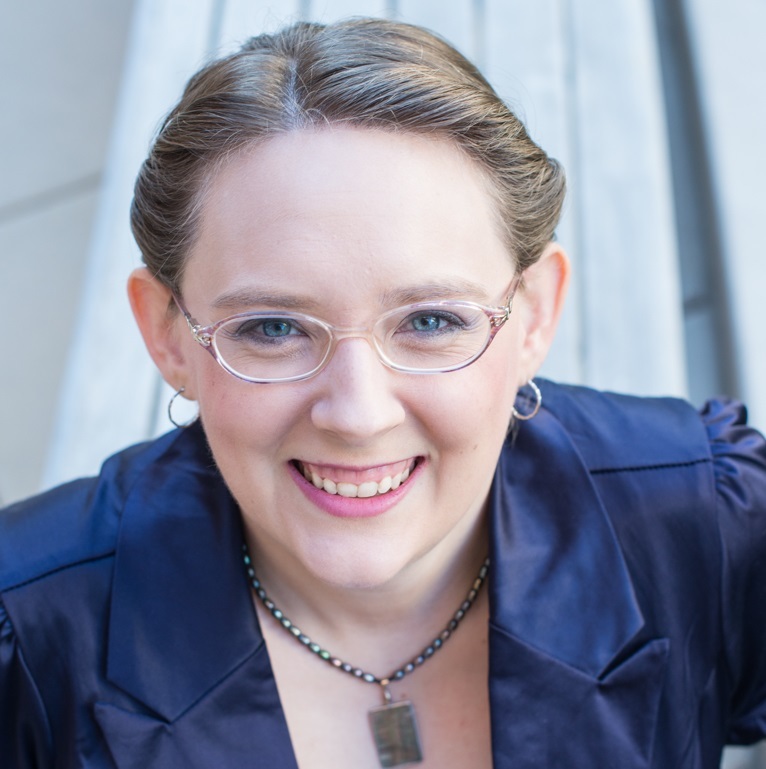 Rachel Leigh Smith is the author of MY NAME IS A’YEN the first book in an SFR series. She is passionate about writing and science fiction romance being active in the SFR Brigade and many other writer groups. She takes a few moments to chat about her debut novel, her writing, and how she feels about SFR. RK: What are your early influences that pushed you to writing and eventually writing SFR? My great-grandfather Wilder dabbled in short fiction and actually submitted to a few magazines. At least according to family stories. He died when my grandmother was six months old. My mom got high marks on some short stories she wrote in high school. And I come from a long line of readers. Ultimate punishment when I was a kid, for me and my three siblings, was taking away all our books. I started making stuff up for my favorite movies and stories when I was about 10. I remember writing what I considered a missing scene from Disney’s The Little Mermaid: what happened between the spinny kiss on the beach and the wedding. When my siblings doodled on paper and ended up with little pictures, I doodled and ended up with characters. I was homeschooled, and when I was 12, a retired English teacher whose grandchildren were homeschooled decided to start a creative writing class for us. My mom signed me up and I had so much fun! My determination to learn how to write is definitely thanks to Mrs. Murphy. 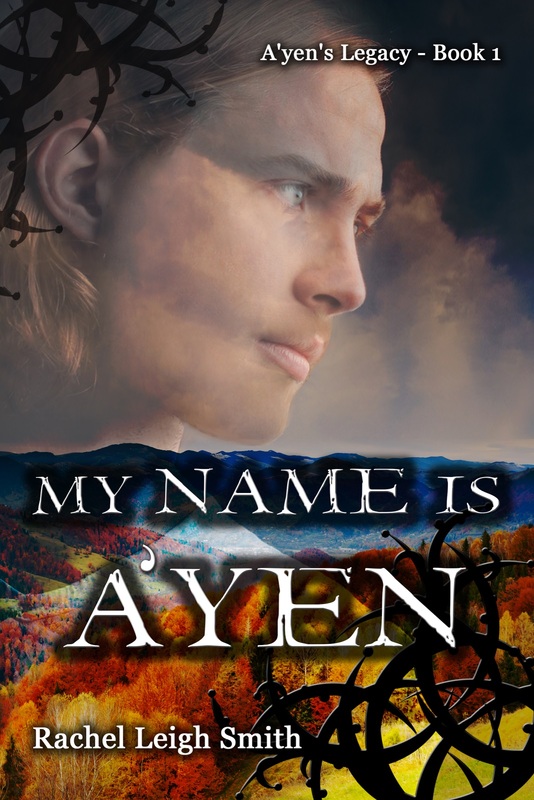 When I wrote MY NAME IS A’YEN I had no idea SFR was an actual genre. I grew up watching SF, but in my family I was Least Likely To Write And Read Science Fiction. I devoured inspirational historical romance and wasn’t interested in anything else. It’s even what I wrote. Then A’yen arrived in my head and I said what the hell, let’s see where this goes. It wasn’t until I was almost finished with it and started doing market research for a proposal that I learned it was an actual genre. That research led me to the SFR Brigade, and the rest is history. I still love historical romance, but SFR gives me freedom from the boxes I’d been trying to make myself fit in while writing historical romance. My dad’s a super geek who stayed up all night the day the Sci-Fi Channel premiered back in the early 90’s. I guess in a way it’s inevitable I’d end up writing SF of some kind. RK: You describe yourself as “author of romance for the hero”. Could you tell us more about what that means and how you approach writing hero’s for stories? The first “real” books I read as a kid were The Hardy Boys and The Black Stallion. I think because of that I’ve always gravitated to books with a strong male POV. I’m also not your typical girl and don’t identify with the struggles most fiction heroines deal with. Rather than try and figure them out, I latch onto the hero. He always makes sense to me and I never feel like I’m lost in the fog trying to figure out what makes him tick, like I usually am with heroines. My heroes tend to be the warrior and protector archetypes. Most likely because that’s the kind of man my dad is. They walk into my head, sit down, tell me their names and greatest fears, and off we go. Crafting the heroine for my stories tends to be an exercise in patience. It took two drafts of MY NAME IS A’YEN, half of the sequel, and a class on heroine archetypes for me to get a handle on Fae. A’yen I can drop in and out of instantly and always know what’s going on in his head. Whenever you pick up a novel with my name on it what you’ll find is a story that is all about the hero. It’s his struggles, his pain, his fears, that carry the novel. She has issues and struggles too, but she’s there to be the catalyst for HIS healing. Not the other way around. You’ll also find multiple POV’s, and most of them will be male. In A’yen there are four POV characters. Only one of them, Fae the heroine, is female. RK: You maintain an active online presence and network. How has that helped you as a writer? I got hooked on being active in writers groups in 2007, when I joined my first professional organization. I made friends there that are still with me, and met my crit partner/other half of my brain through that group. Most of my friends don’t live close enough to me to see them on a regular basis. My three best friends live in Iowa, New York, and Florida. Being online is as natural to me as breathing. Since I think best in written form I often ramble about plot problems and uncooperative characters via email, and usually end up solving the problem. As far as helping me as a writer, when you’re plugged into writers groups it’s incentive to be productive. I would never have taken the plunge to go indie and self-publish A’yen had it not been for watching so many Brigaders do it successfully. I’ve learned so much from them on what to do and what not to do. As a reader myself, I enjoy following my favorite authors online and seeing what they’re up to. Since I as a reader enjoy it, it makes sense my readers will enjoy it too. I don’t want to be invisible or unresponsive to them. RK: What is your writing routine? What inspires your creativity? Well, this is where it gets harder to pin down. I know what my peak creative time is so I try to always write during that time frame. It tends to be later afternoon through evening, and I always stop by 8:30 at the latest. Otherwise I have trouble going to sleep. I tend to spend five or six hours writing on Saturdays and Sundays. As for what inspires me and feeds my creativity, mostly reading romance. When I’m plowing through A Song of Ice And Fire novel, where there’s no romance, my output suffers. Almost like my muse is starving. I also have a couple of go-to TV shows I’ll watch an episode or two of, Farscape being at the top of that list. Reading a Dark-Hunter novel is guaranteed to spark something to play with and see what it becomes. I unlocked a whole new facet of the A’yen’s Legacy universe when I read Acheron last winter and wondered what it would be like if someone was that trained in physical pleasure and actually enjoyed it. So long as I’m feeding my muse romance, inspiration is not a problem. RK: Could you tell a bit about any future projects you have planned? Well, as of right now I’m in the final stages of the first draft of A’yen’s Legacy #4, Heart of Winter. The fifth book, Hidden In Ashes, is the one that came from the what if while reading Acheron and it’s finished. I’m planning to release MY NAME IS A’YEN in paper in May. The second book, The King’s Mistress, will be out in January, with book three, To Save A Life, coming in late spring. Books six, seven, and eight are brewing in my head. and for some fun questions…. RK: You win a mysterious golden ticket to (1)travel through time, (2) travel to a parallel universe, or (3) travel to another planet. Which do you choose? Why? I’ll take door number one please. We’re going back to New York City on February 12, 1924 and buying tickets for the Aeolian Hall concert for the debut of Gershwin’s Rhapsody In Blue. Why? I love Gershwin and grew up listening to a remastered recording of the concert. There’s a doctor here where I live who has a set of the original 1924 recording of the concert. And I’m pretty sure a one-night visit for a couple of hours to a city where I had no relatives won’t mess up the timeline. RK: If you could create a soundtrack for MY NAME IS A’YEN what would be on it? The book already has a soundtrack! Here it is. Stay tuned for an excerpt from MY NAME IS A’YEN. ← Popping in for the first time in a long time!